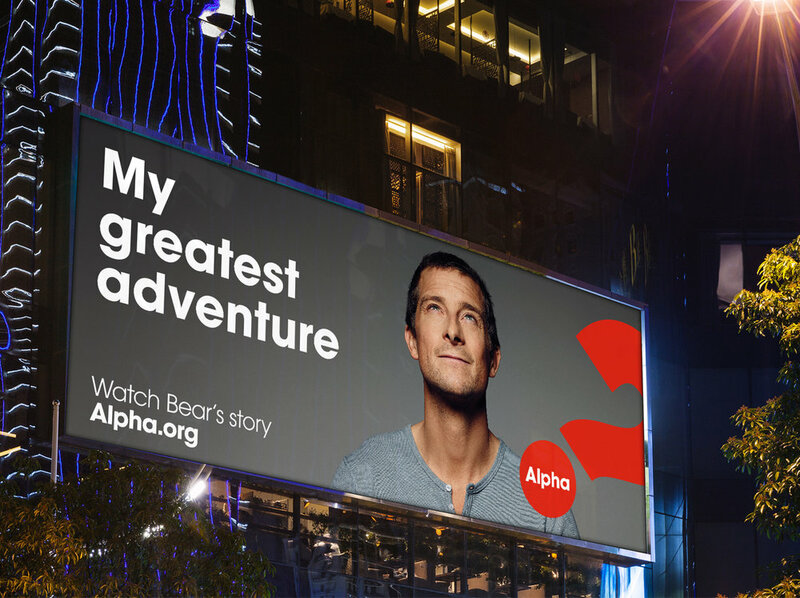 As well as being an adventurer, writer and television presenter, Bear is a former guest on Alpha. Despite a life characterised by risk, danger and the unknown, it is this exploration of faith that he describes as his ‘greatest adventure’. Bear’s is just one of millions of different stories of exploration—of asking life’s biggest questions without knowing what will be found. Design & Art Direction in collaboration with Alpha International.